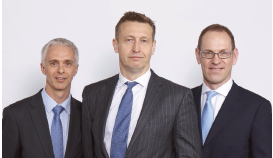 David, Dave and Richard joined Invesco Perpetual in 2013 and are fund managers within the Multi Asset Team. Prior to this they all worked together at Standard Life as managers on their Global Absolute Return Strategy. David started his investment career with Scottish Widows in 1989, where he qualified as an actuary before joining the Fixed Interest team at SWIP in 1996. 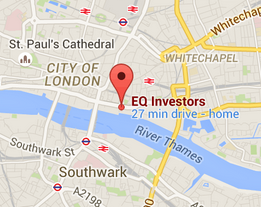 During this time he became Head of Bond Strategy, and chair of their Bond Policy Group. He joined Standard Life Investments in 2008, as an Investment Director in their Multi-asset investment team before becoming a fund manager of their Global Absolute Return Strategy. Dave joined Standard Life Group in 1982 as a computer programmer and after a period in the Actuarial Department of Standard Life, he joined Standard Life Investments where he held positions as a fixed income fund manager and strategist before joining their Multi Asset investment team in 2006. Dave graduated from St Andrews University in 1982 with a BSc (Hons) in Mathematics and is a Fellow of the Institute and Faculty of Actuaries. Richard had worked at Standard Life Investments since 2003 where he was the Global Investment Strategist in their Strategy team which is now part of Standard Life’s Multi-Asset investing team, gaining additional responsibilities for Global Tactical Asset Allocation in 2012. Prior to joining. In 1994, he was awarded a PhD in Financial Economics from Brunel University, where he was a part-time research assistant and taught both graduate and undergraduate students.